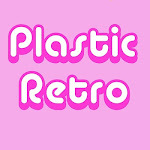 Plastic Retro Blog: "I really like your laughter, it sounds like a melody"
Kitsch is NOT a bad word! "I really like your laughter, it sounds like a melody"
Follow me on Facebook, Twitter, Instagram and YouTube to see more stuff from my life. You can also find more information about me on DennisAlexis.com. Welcome to the place for fans of kitschy, campy, retro entertainment like plastic pop/dance/synth/disco-music, glamorous primetime soap operas, classic movie stars, trashy slasher flicks and old video games. Kitsch is not a bad word! © Dennis Alexis Hellström. Awesome Inc. theme. Powered by Blogger.